Portfoliogen is a great web tool for teachers. 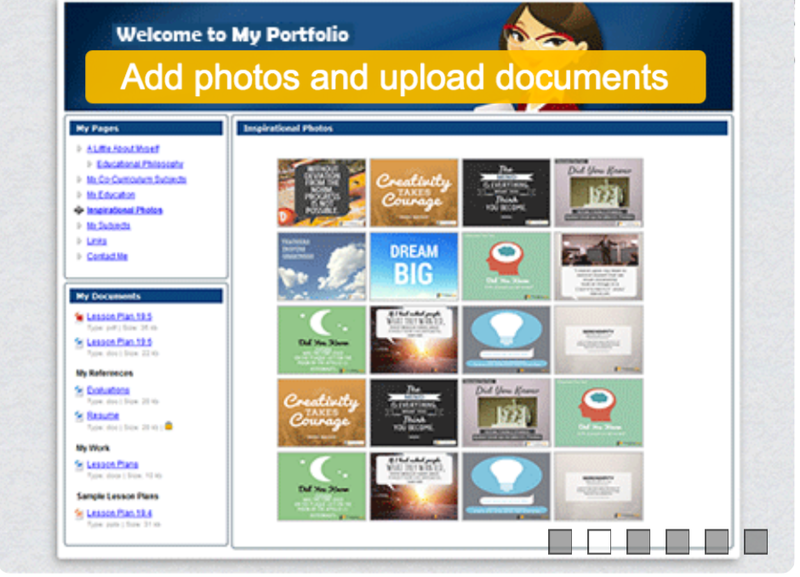 It allows teachers to create their own customized portfolio webpage. This means that you have a user friendly platform designed specifically to host and organize all your materials into one place. You can also share your portfolio with your colleagues and peers using the generated URL. Today, Portfoliogen.com has launched a new feature allowing members to download their content and show their artifacts locally in a variety of formats including PDF, PowerPoint, and Flash. Click on this link to see a sample PDF download . Here is a sample portfolio website.